On Saturday, March 9, 2019 members of the 1971 Juniorr. 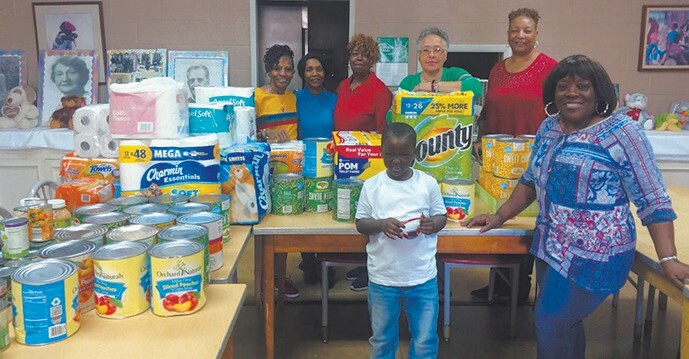 Class of Sophronia M. Tompkins High School met at Greenbriar Children’s Center and presented Mrs. Gena Taylor donations of paper towels, tissue, canned vegetables and fruit for their pantry. This was our yearly non-profit project. We realize how important it is to give back to those who are in need and contribute to the common good. This also involved bringing class members together and working toward a single cause. Thanks to all classmates that participated and our president Catherine Ford Grant for organizing this project.